Are you wanting to learn more about orange essential oil? Are you looking for some great orange essential oil uses and benefits? Orange is such a happy and useful oil that should definitely be kept on hand! 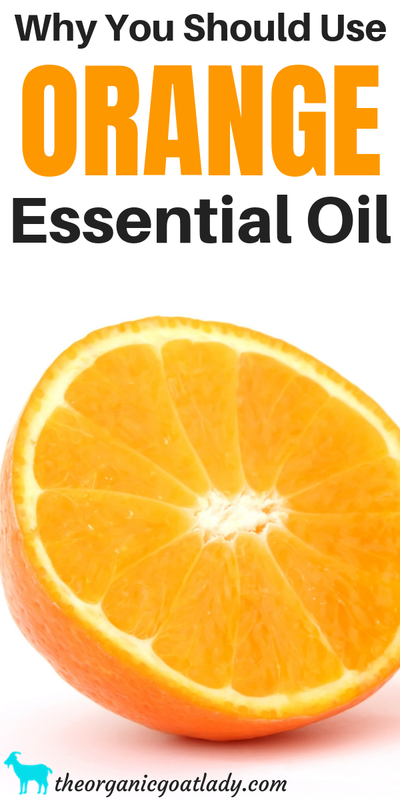 Why You Should Use Orange Essential Oil! Orange is another one of those oils that most of us are familiar with. But I bet there are some things that orange oil can be used for that you are not familiar with! First let’s look at the scientific name of the orange that I use. This might not seem important, but trust me, it is! Some essential oils have lots of different species. Some of these species can be harmful. So it is important when purchasing an essential oil to make sure that you read the full scientific name so that you know what you are getting. For example, eucalyptus essential oil is an oil that I use on my kids for respiratory concerns and immune support. But, some varieties of eucalyptus essential oil can actually stop a small child’s breathing! We’ll discuss this more in a future post. What is orange and where does it come from? Citrus sinensis is from the sweet orange family including blood orange and navel oranges. Orange trees grow all over the world. They are a tree that I am very familiar with living in Florida. The Orange blossom is actually the state flower of Florida. Orange oil is cold pressed from the orange peel. Orange is a very sweet, fruity scent that is extremely happy and uplifting! So now that we’ve discussed name, origin, and scent let’s delve right into what sweet orange essential oil is used for and how it will benefit you! Let me first say that I am not a doctor! All of the information that I provide on this site is for educational purposes only and is in no way intended to diagnose, treat, or prescribe. Please read my disclaimer page and/or the disclaimer at the bottom of this page for a full disclaimer statement. There are many listed benefits of orange! According to Be Young Total Health’s Total Health Desk Reference, orange’s traditional and alternative uses include: asthma, colds, kidney stones, cough, eating disorders, and so much more! I personally Love to diffuse orange essential oil! It is a wonderful choice for diffusing. When inhaled orange essential oil uplifts and calms. I also like to diffuse it to help calm the appetite. 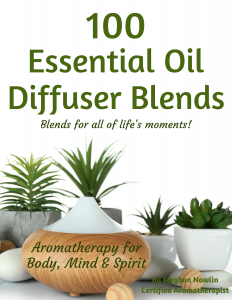 I include orange in many of my diffuser recipes that can be found in the 100 Essential Oil Diffuser Blends eBook such as Healthy Home and Cold & Flu Protection. The eBook also includes many recipes for cleaning, children, pets, home, etc. that contain orange as well. Recipes such as Spring is in the Air, and Home for the Holidays. Adding a few drops of orange to your diffuser blend can be so beneficial! According to JennScents Institute’s Introduction to Holistic Aromatherapy, orange is also good for balancing the mind and body, hyperactive children, over-working, excessive computer use, pessimism, and negativity, just to name a few. I also love to use orange in the bath when I’m having a down day. You can learn more about using essential oils such as orange in the bath in my post How to Use Essential Oils in Bath Water. And 20 of the Best Essential Oils to Use in the Bath. I personally use orange in my Cold & Flu Protection Room Spray. It is excellent for helping to support the body during times of illness and to help purify the air in your home! I also use orange in my Autumn/Winter Diffuser Blend and Pampered Feet Massage Oil. Orange is excellent for helping to make the rougher skin on the feet smooth and silky! I love to apply this when going to bed at night so that I wake up with velvety smooth feet! A contraindication is a medical reason for not using something. In this case it is a medical reason for why you should not use orange. Orange oil is considered photosensitive. Which means that you should avoid direct sunlight for nine to twelve hours after applying orange to the skin. If applied to the skin before going out into the sun you could end up with third degree burns from the sun. Insufficient reliable information is available regarding the use of orange oil during pregnancy and breastfeeding. Consult your healthcare provider before use. You also want to make sure that you are using a good quality orange. As an Aromatherapist I would never recommend buying an essential oil at a local store. I can almost guarantee you that it is not a pure oil. There are no government regulations on essential oils, so an oil can be diluted by up to 50% and still be marketed as a pure oil. It can be diluted with a carrier oil, or with a synthetic substance and still be called pure. How scary is that?! Definitely not something I want to use, especially for my family! You have to be so careful when choosing your brand. Which Brand of Essentials Oils Should I Use? So make sure that you know and trust your source. If you have a brand that you feel confident in you can use that. 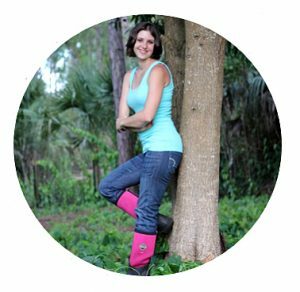 If you aren’t sure about where to get orange, or if you would like to check out the brand that I use, you can find it on my shop page at Healing Blends For Life. Where to Buy at discounted prices! Also, if you are new to essential oils and would like to learn more about how to use them, be sure to take my FREE Essential Oils for Beginners Course! I hope you enjoy orange as much as I do! Also please come back after using orange and comment below with your opinion of the oil! What do you like most about orange essential oil? Do you enjoy the smell as much as I do? Did you experience any results after using orange? If so what were they? Do you have any additional uses to add to the above list? I can’t wait to read your comments!